Rod Brind’Amour vs Mike Modano? The Stars just manhandled the Blues last night to end St Louis’s 12 game winning streak...while we had to pull out a fire and brimstone third period to beat the lowly SwampCats in Sunrise. On my way from OKC to Big D this evening...hockey gods, please give me my first Canes win in 4 attempts down there. It’s also game two of the dads/mentors trip...so do not cross them! Jordan Staal said he's feeling good and is ready to get back in the lineup. He's expected to play for the #Canes on Saturday. An important game. If indeed the stars align as AWAC's starter title implies we have a chance to leap over the Pens and CBJ, pull within a point of the Habs and 3 pts of the Caps. 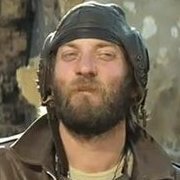 With one eye on the game today and another on the scoreboard Caps at Slugs, Sharks at CBJ, Habs at Leafs and Pens at Flyers. That's a lot of puck luck but if the stars align. If they don't I will settle for leaping the Pens or CBJ. Whatever happens the first order of business is beating the Stars. There’s teams that historically have had our number. This has been one in recent times and I hope we club them. I really enjoy our play against the Western Conference teams though. You’ll be at this game right? I seem to recall recent games in Dallas had us falling way behind early only to have valiant efforts to claw back fall short. Let’s get an early jump and pour it on. Staal officially off IR. Anyone worried about him coming in and ruining the mojo this team has? I really hope Rod keeps him as a 3rd line guy who will fit in important face offs when needed as well as special teams. I dont think he should be playing 1st line minutes. Staal officially off IR. Anyone worried about him coming in and ruining the mojo this team has? Although i wont be able to watch today. It’ll be interesting to see how Brindy uses Staal. He is a shutdown guy but Aho has excelled in the role. Shutting down and scoring. As much as human nature would dictate us to feel so, we can’t be worried about having one of historically better guys ruin the mix of what we have upon a return. If he does, his role on the team will be re-evaluated. I don’t think this team is that fragile in that Jordan’s return upsets the flow. This will indeed be a litmus test of his overall value though. I only worry about RB's 'he's our best player' 'he's our best player' 'he's our best player' and therefore giving him 95 minutes of ice time where he wins faceoff after faceoff but can't keep up with his speedy wingers so everyone's effectiveness is stymied, when IMO he'd be better-served putting him on the 3rd- or 4th-line and the PK and let him take key faceoffs before rushing off the ice otherwise. 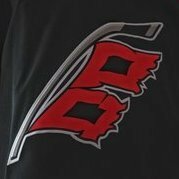 One thing's for sure, though - if Staal is anything less than stellar and the team loses, there are going to be a lot of Canes fans pointing at him. Big game this afternoon! JUST WIN!!! Probably won't get any help from the Pens/Flyers game as rookie phenom Carter Hart is out for the next 10 days with a lower body injury and Cam Talbot gets the start. With Talbot getting the start, the Flyers set a NHL record for most goalies to be used (8). Didn't get any help last night as the Sens are mailing it in for the rest of the season, but hopefully the Sharks will rip the Jackets a new one today. Hoping for help from the Leafs to take down the Habs. Not sure how I feel about the Slugs/Craps game. While I'd like for the Craps to lose, I really don't want the Slugs to get any points either. Not too sure about that. This will be Staal's 1st game back after missing about 2 months. While conditioning can help him get up to speed, he hasn't been in a game situation for a while so I expect him to be rusty and for him it'll be like opening night for him without playing in the pre-season. Put him on the 4th line and maybe put him out there for key offensive face-offs. No PP time, maybe some PK time. Ease him in. agree and since hes injury its proven he does not need to be on the first or second line. when he won in Pitts he was 3rd line center.